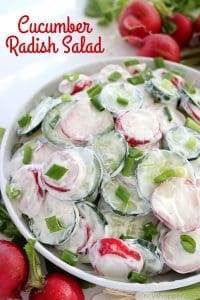 This Creamy Cucumber Radish Salad will be a great side dish for your summer dinners, picnics, or family BBQ’s. 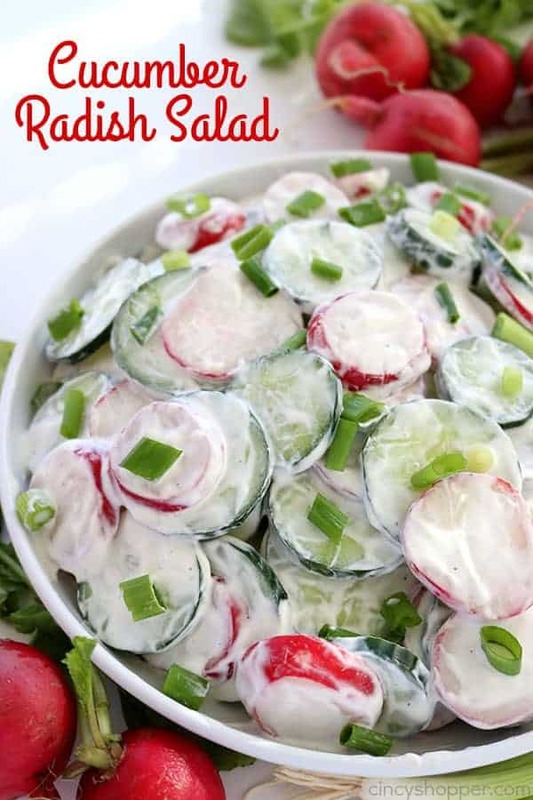 The salad is loaded with fresh cucumbers, radishes, and coated in a creamy garlic dressing. We had a warm up in temperatures here in Cincinnati last week. I thought spring was finally arriving. The hubby purchased a new fancy grill so I was itching for some summer salads that we could have along side of our burgers and dogs he made on the grill. 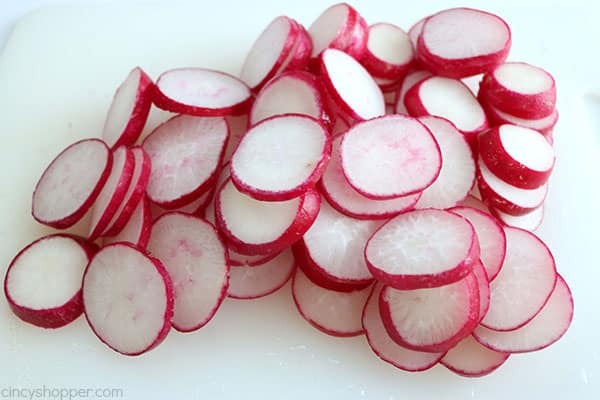 I LOVE salads for side dishes in the spring and summer. We barbecue almost nightly during the warm months. Fresh salads always allow for us to have something light alongside of our grilled meats. 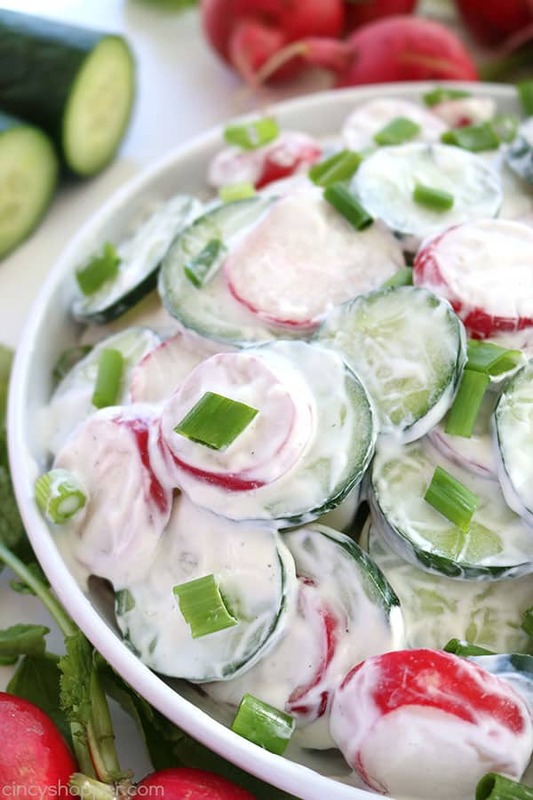 This Creamy Cucumber Salad is always perfect. 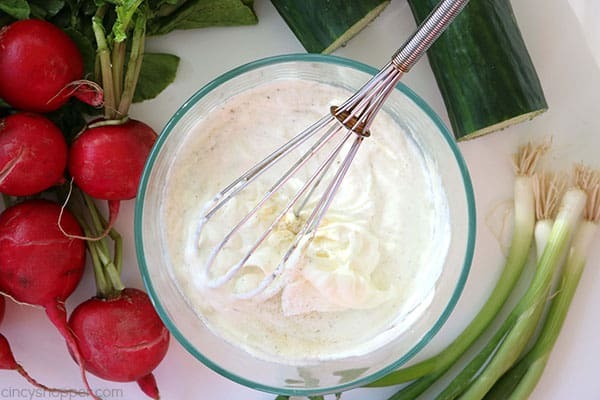 I toss sliced cucumbers and radishes with a super easy creamy garlic dressing and it is perfect. I add in some sliced green onion for a bit of extra flavor. 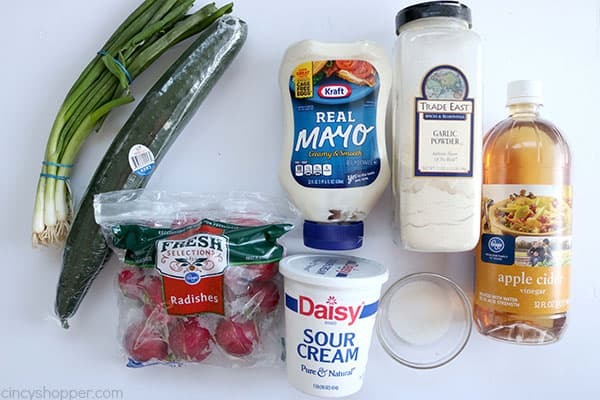 If you are not a fan of garlic, you could always use the dill dressing that I use in our Creamy Cucumber Salad. 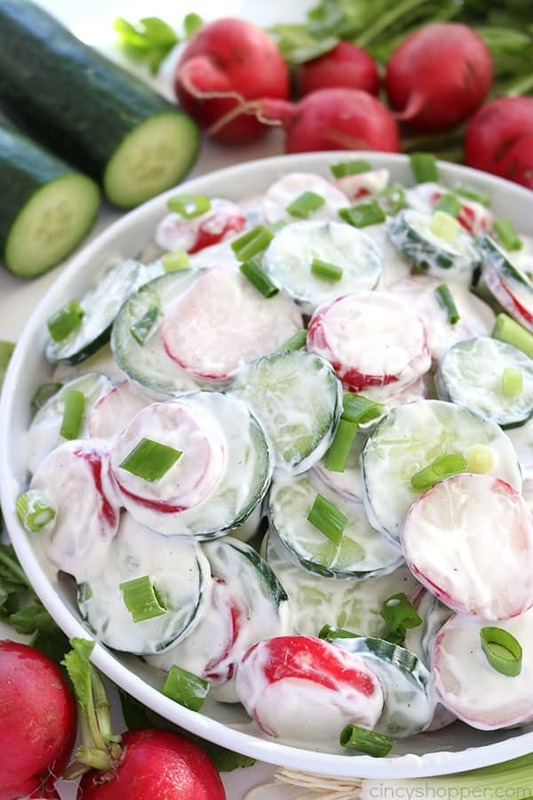 It is made pretty much the same way but with a dill flavor that would combine well with the cucumber and radish flavors too! 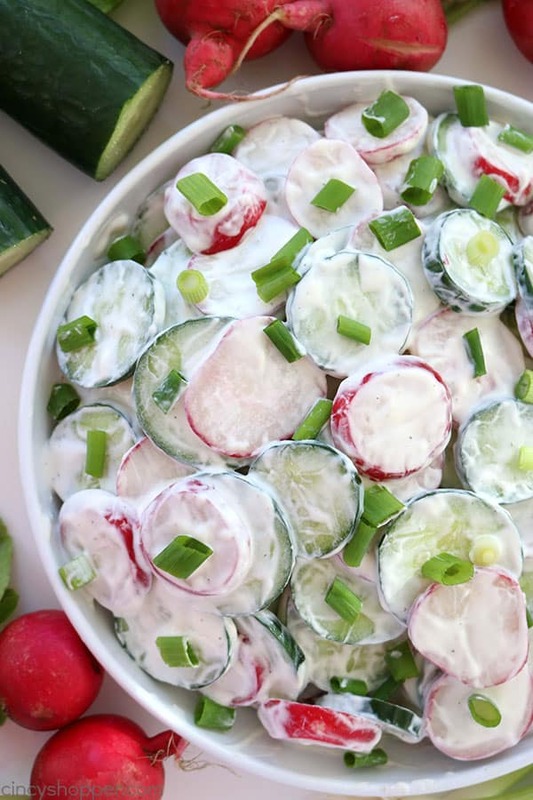 Grab yourself a English cucumber, radishes, green onions (you could use a sweet onion too), and few other ingredients to make this delicious summer salad. I have a large family so we usually do not have any leftovers. 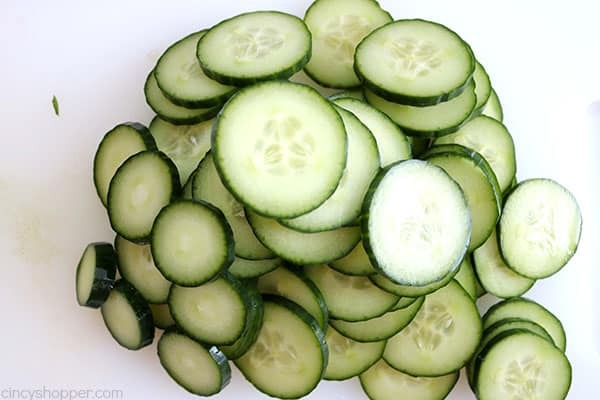 I like to add the dressing just before serving so the cucumbers do not get to mushy. 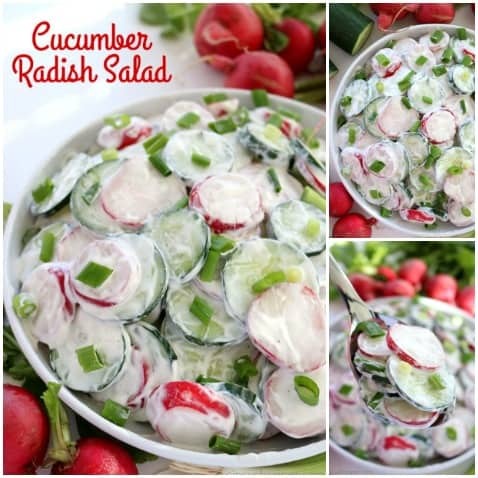 In a medium bowl combine all ingredients except cucumber, radishes and onions. 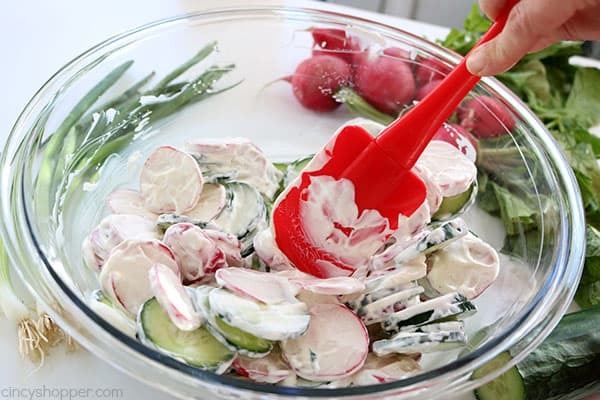 Put cucumbers and radishes in bowl and add dressing. 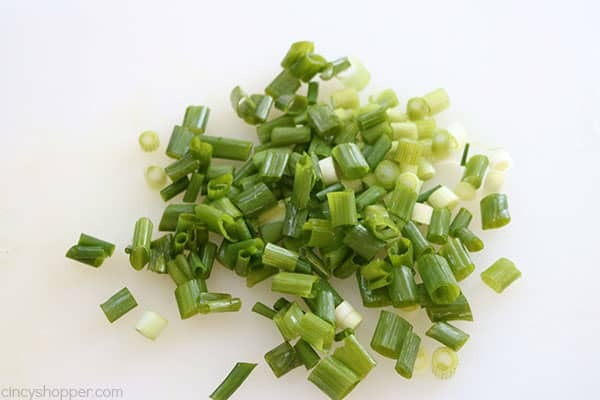 Add green onions and give a final toss. Do you have a favorite summer salad that you make often during the warm months? 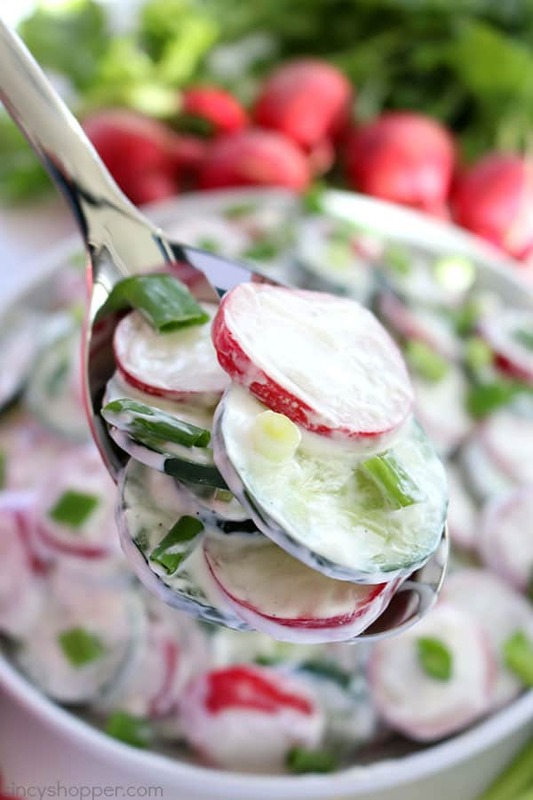 This Creamy Cucumber Radish Salad will be a great side dish for your summer dinners, picnics or family BBQ's. 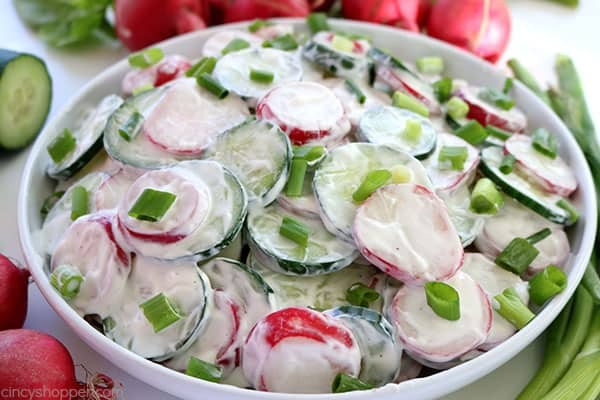 The salad is loaded with fresh cucumbers, radishes and coated in a creamy garlic dressing.